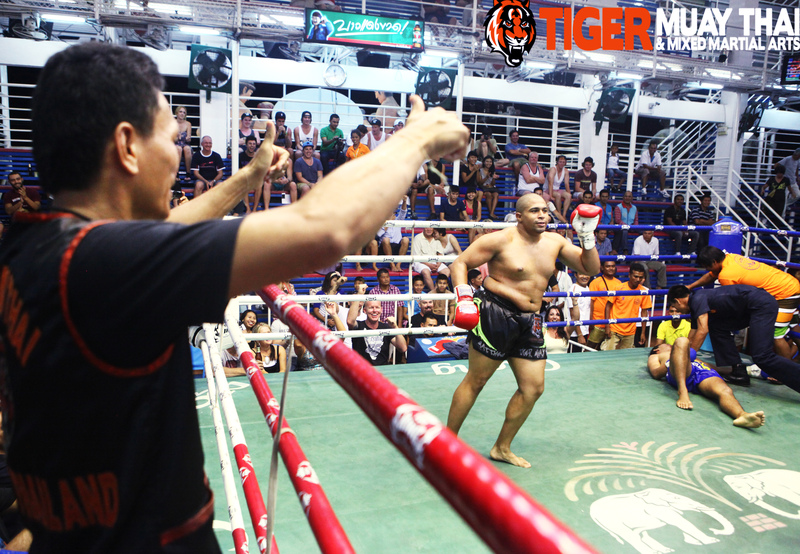 Once again, Tiger Muay Thai and MMA Training Camp Phuket, Thailand fighter Matt Semper sent his opponent to the mat with a strong showing against familiar foe Pechdan. This is the fourth fight between 23 year-old Pechdan and 24 year-old Semper. The series is now 3-1 in Semper’s favor as he has now won two straight. A video leading up to the much anticipated third fight between these two is available below. 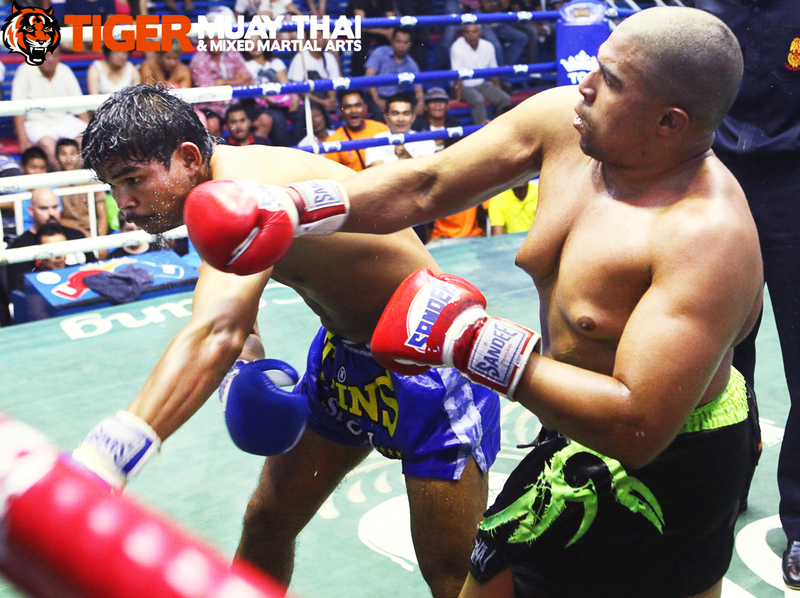 The fourth fight started off with both men getting early hits – a change of pace from the usual slow start of the past three fights. Semper took several kicks to the body and got into a punching exchange twice before the sound of the bell. Round two saw Semper pounce after a strong overhand right that wobbled his opponent. The immediate combination of hooks swallowed up Pechdan, but the Thai was able to circle away from danger. Pechdan responded to the hits with his own right elbow squarely in the face of Semper as the round came to a close. Round three saw more of the same from both fighters with Semper using his right hand to knock Pechdan around while the Thai tried chopping the legs with kicks. The fourth round was similar in pace, but a well-timed left hook put Pechdan down for the count as he was going for a kick. Semper’s record now stands at 27-15.